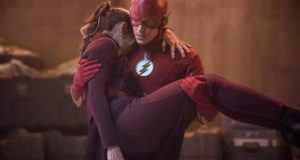 Home / News / Details On The Flash/Supergirl Musical Crossover Are Here! Details On The Flash/Supergirl Musical Crossover Are Here! Details about the upcoming Supergirl/Flash musical crossover have now been revealed! 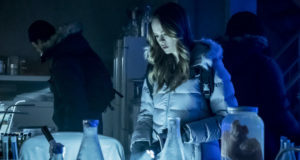 The crossover will start Monday, March 20 on Supergirl much like the four-show crossover did last year, but most of it will take place Tuesday, March 21 on The Flash. The title of the episode will be “Duet” and it will be the 17th episode of Flash’s third season. Dermott Downs is directing and a ton of the Berlantiverse’s melodically-gifted cast members will be performing, including Grant Gustin, Melissa Benoist, Jesse L. Martin, Victor Garber, Carlos Valdes, Jeremy Jordan, and John Barrowman. Yes, some Legends of Tomorrows folks are hopping on too, apparently… they can’t go without giving us a singing Victor Garber, can they? David Harewood and Chris Wood also participate in the crossover, but they won’t be singing. The villain of the piece is said to be the Music Meister, and if that’s not Neil Patrick Harris we are going to cry over here, so make it happen.